MaxWell Polaris Professionals will provide you with all the necessary information to make an informed decision when buying an acreage property in the Edmonton area. 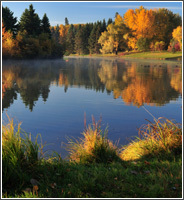 Acreage homes provide an alternative lifestyle choice with many special considerations unknown to city residents. Our acreage specialists are committed to providing you a higher standard of service, while ensuring you and your unique needs are met every step of the way.